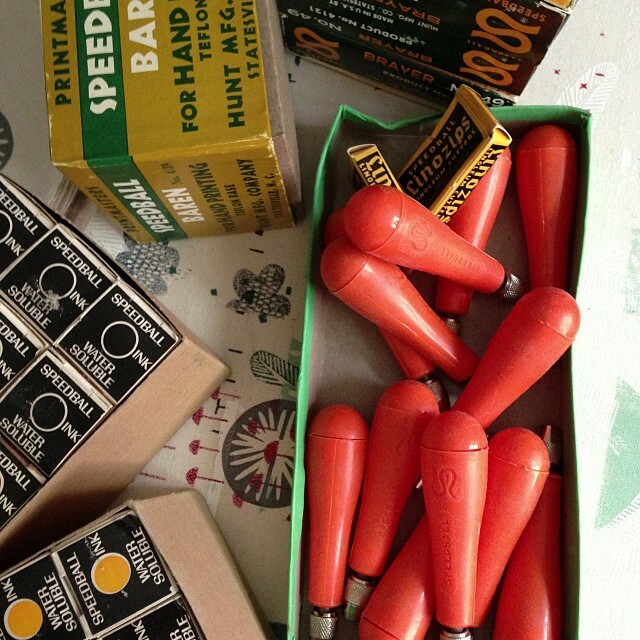 I've been having a ball ordering supplies (like the new condition, vintage Speedball classroom kit I scored on eBay and had shipped from the US - so exciting!) and working on my lesson plans for the workshops I will be teaching at The Craft Sessions in three short weeks! Registration is open until October 10th so you have four more days to decide to treat yourself to a weekend of inspiration, creativity and all around good times (I've heard the food is going to be pretty great, too). There are still a couple of spots left in my Block Printing on Fabric (where you'll get to use the super cool tools above) and my Freeform Patchwork workshops plus a ton of other great workshops to choose from!